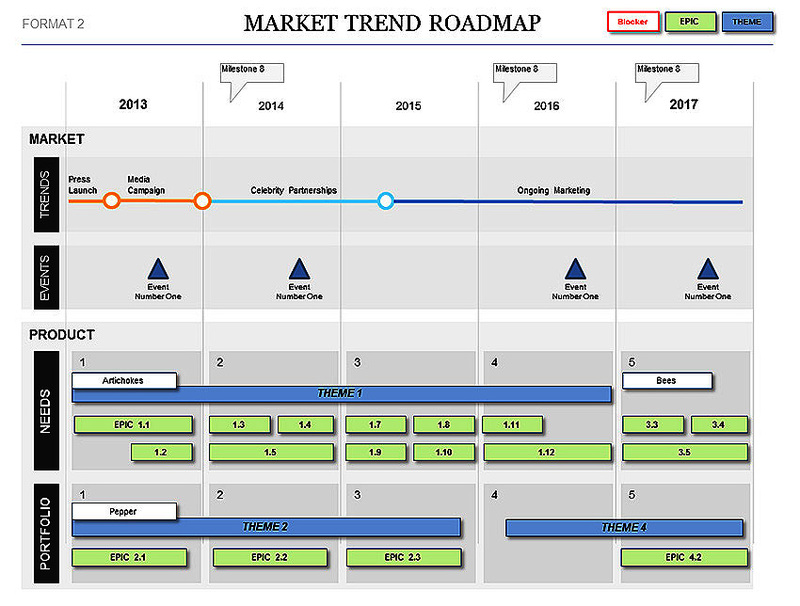 This roadmap also features some of our popular infographics visual design formats. What’s in this Sales Roadmap Download? Manage version and key metadata for your presentation. Rating for Powerpoint Sales Roadmap with Infographics Template: 4.5 out of 5 , based on 2 customer reviews. This Excel RAID Log and Dashboard Template helps you track detailed Risks, Assumptions, Issues and Dependencies and presents them on a summary Dashboard for easy understanding. Great for Board Reports and Status Reports. The New Project Plan Template is a Powerpoint template which will help you demonstrate and communicate your project plans AT A GLANCE. Easy to edit. 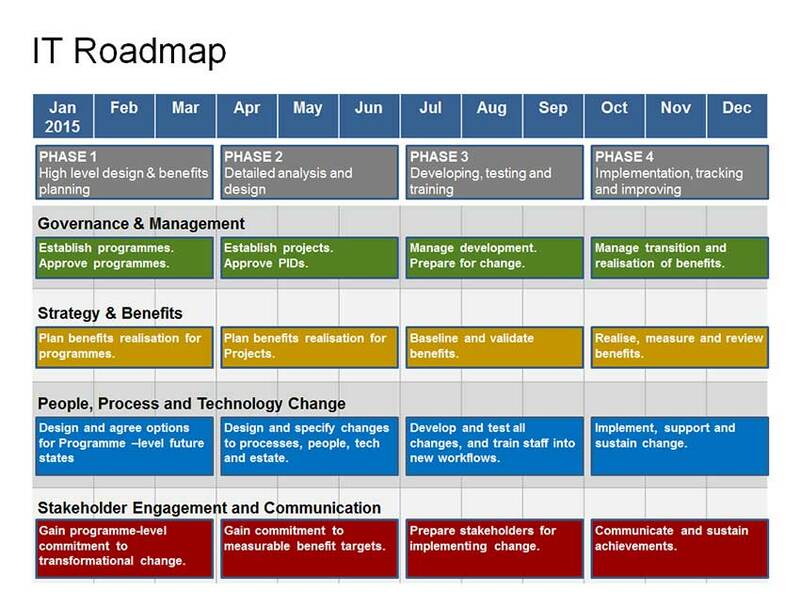 The Powerpoint Product Roadmap Template is a “must have” for Product Managers. Shows your product plans by workstream, over 1-2 year timespan. This impressive powerpoint template features modern Project Schedule, Plan and Roadmap formats. Easy to edit.